원삼이란 황후와 왕비, 빈들이 입었던 예복을 말하는데, 이 유물은 조선후기 세자의 비가 대례복으로 입었던 옷이다. 길이는 약 145㎝, 소매길이 135㎝이며 소매통은 68㎝이다. 넓고 긴 소매에 푸른색과 노란색의 색동을 대고 그 끝에는 흰색의 한삼을 대었다. 길과 소매의 위, 소매 아래가 금실로 짜여 있으며 구름과 봉황무늬가 들어가 있다. 색동과 한삼은 전체가 금실을 넣어 짠 직금단으로 되어있다. 원삼의 양어깨와 가슴 중앙에는 홍색단에 금실로 용을 수놓은 보(補)가 달려있다. 앞은 마주 여미게 되어있고 안에는 동정이 달려있다. 대는 남색으로 모란문이 금박되어 있으며 가장자리에는 두 줄의 금박선으로 마감했다. 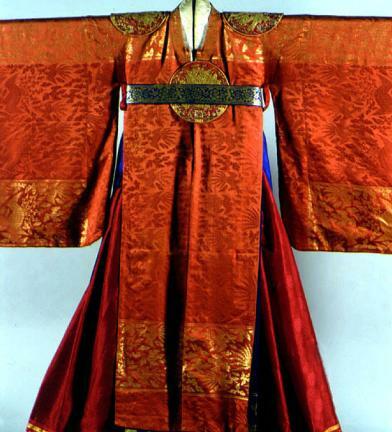 Wonsam (ceremonial robe) is a formal dress worn by empresses, queens, and royal concubines. 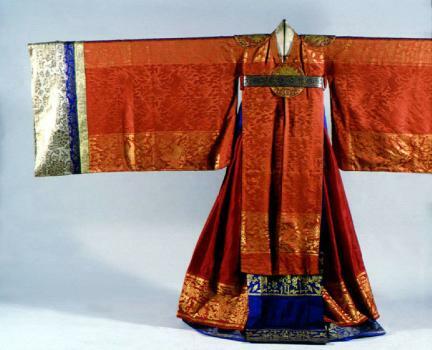 This particular dress is daeryebok (ceremonial robe for important events), a full-dress uniform belonging to the Crown Princess of the late Joseon Dynasty. 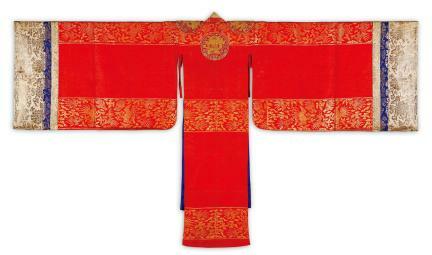 It is 145 cm long with sleeves 135 cm long and 68 cm wide. 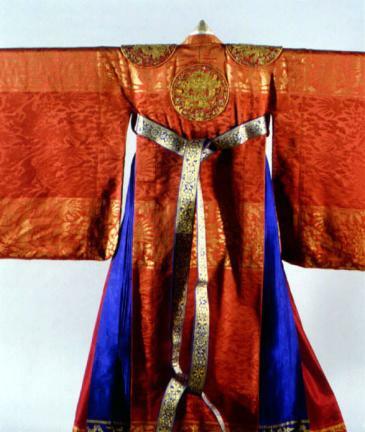 Blue and yellow saekdong (cloth of stripes of many colors) is attached on the wide and long sleeves, with white hansam at the end of the sleeves. 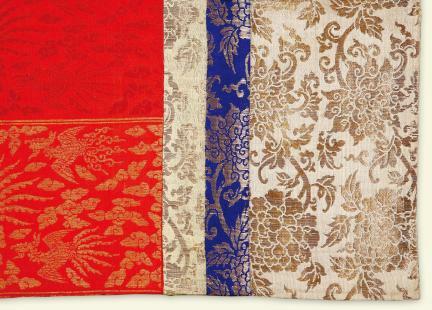 The upper side of the body and sleeve and lower part of the sleeve are woven with gold threads. 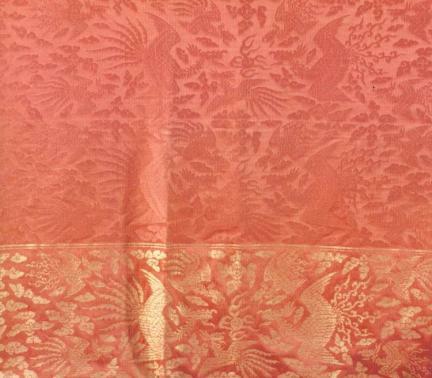 The patterns of cloud and phoenix are embroidered. 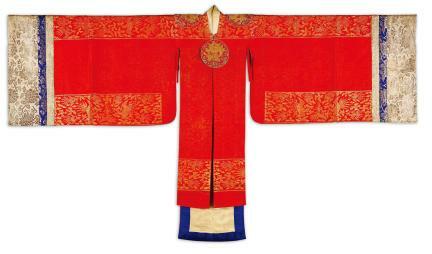 The saekdong and hansam are made of jikgeumdan (cloth woven with gold threads). 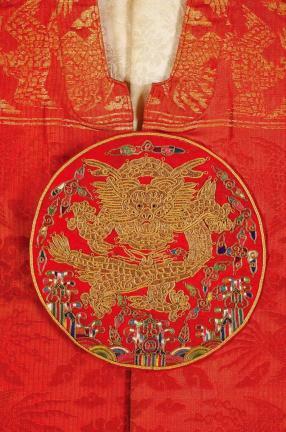 The shoulder and chest areas of the wonsam have Bo, which is the pattern of dragon embroidered with gold threads on red cloth. 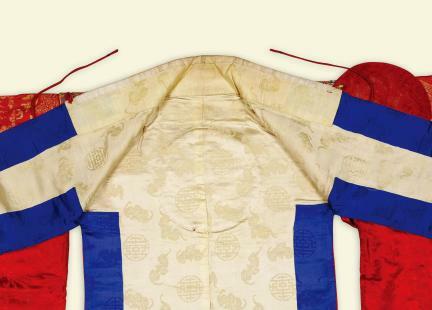 The front of the wonsam can be adjusted, and it has a collar strip inside. 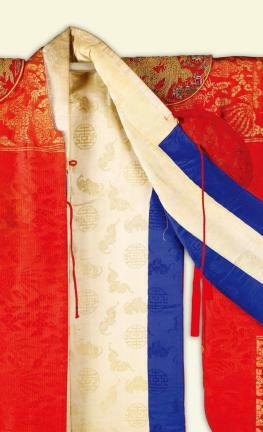 The patterns of peony are plated on the blue dae (band) with gold leaf, and the edge of the dae is bordered with two gold lines as a finishing touch.